Welcome to St. Oliver Plunkett’s Primary School website. 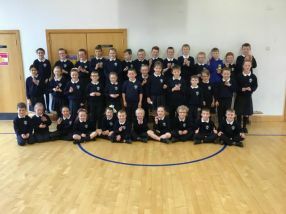 St. Oliver Plunkett's is a fully inclusive school, where all pupils are cared for and respected as individuals. They are given the best possible opportunity to reach their full potential by a dedicated and committed staff. 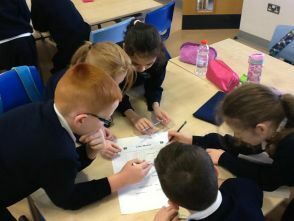 This website is a window into what life at St. Oliver Plunkett's is really like and will provide you with up to date information on what is going on in the classes; events that are scheduled to take place; children's work and information regarding the school including our School Prospectus. If you may be considering our school for your child and would like to come and visit the school please feel free to contact me at kwoods376@c2kni.net or telephone 02830 888374. We Are A Forest School. Well done to Ronan, Lorcan, Finn, Padraic, Conor and Ayden.